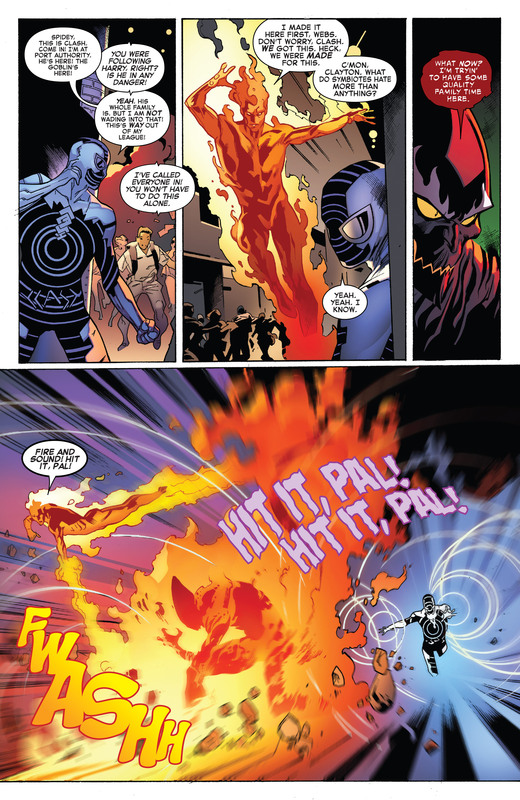 Here’s an Amazing Spider-Man # 799 recap which also happens to be part 3 of “Go Down Swinging” by Dan Slott and Stuart Immonen. 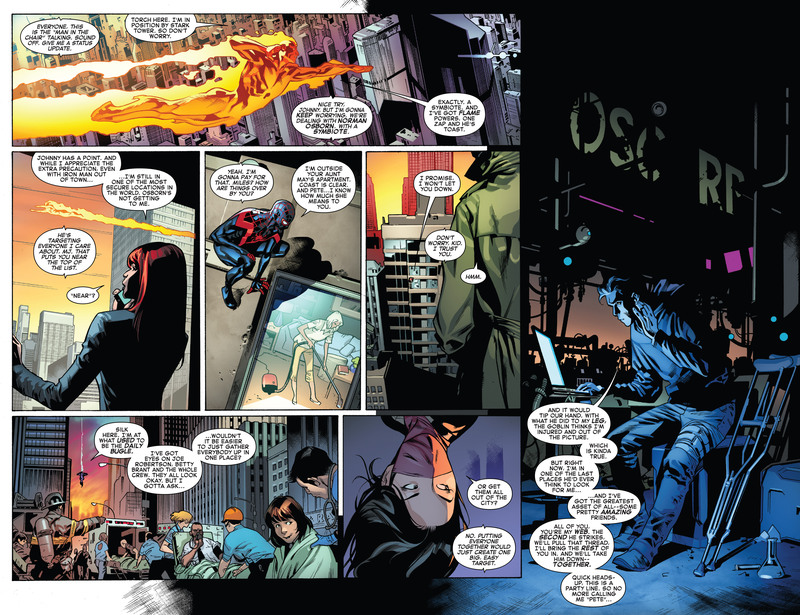 After suffering from a massive defeat at the hands of Norman Osborn aka Red Goblin, Peter Parker has retreated and has asked the help of his “amazing friends” to watch over his loved ones namely Mary Jane Watson and May Parker. 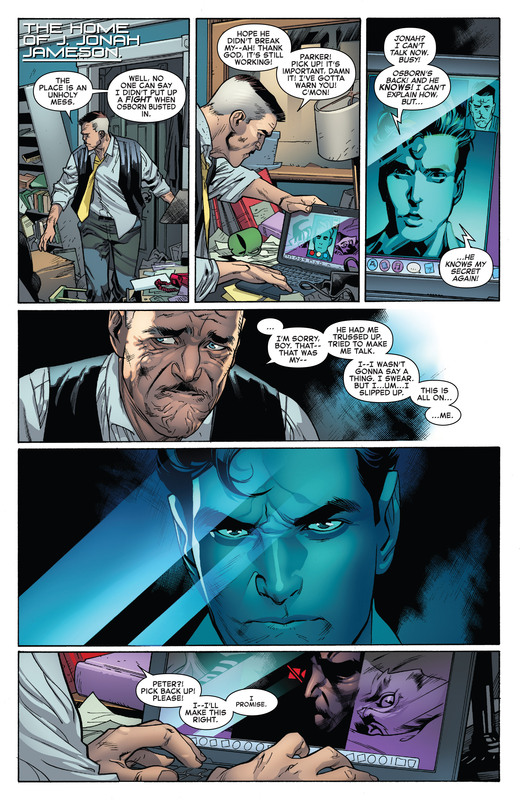 J. Jonah Jameson also gets back from captivity and has admitted that he revealed Parker’s identity to Osborn. Peter is disappointed with the revelation. 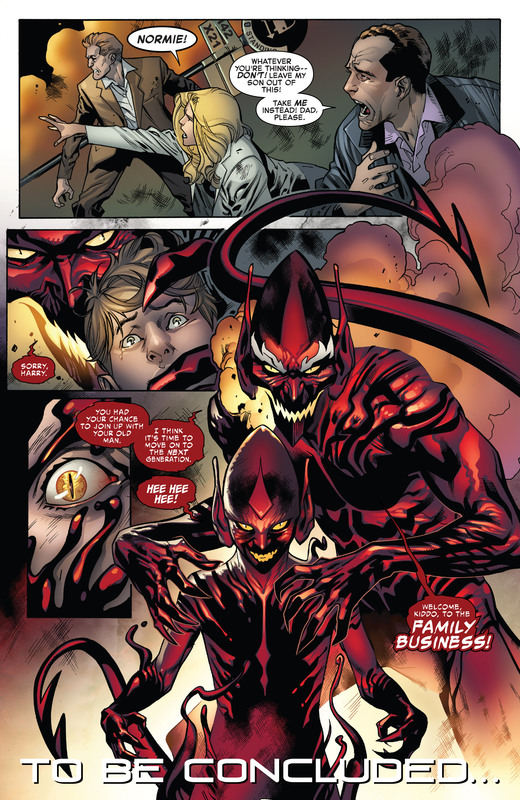 In this Amazing Spider-Man # 799 recap, we also find out that the mysterious “Emma” who kidnapped Normie Osborn and his brother is actually Harry Osborn’s mother and Norman Osborn’s wife. 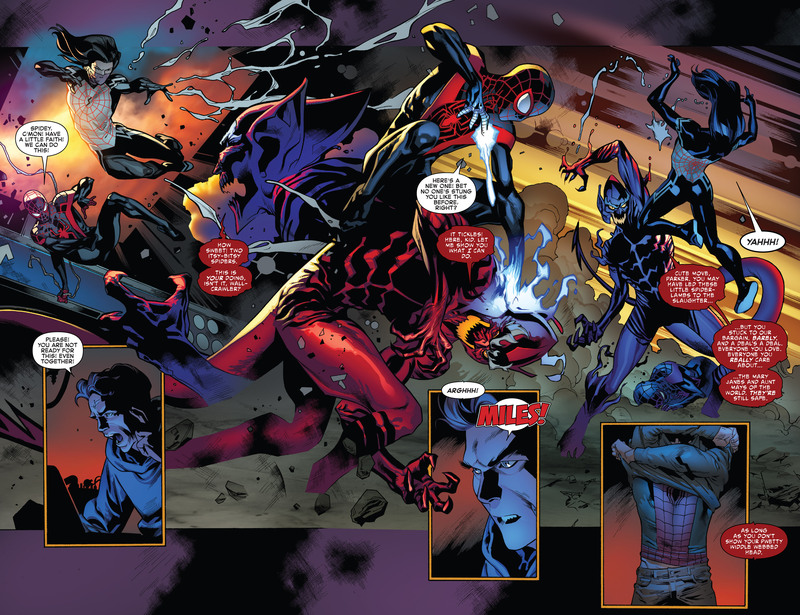 Spidey’s allies like Clash, Human Torch, Miles Morales and Silk all reach the station just in time to fight Red Goblin. But they also fall easily. 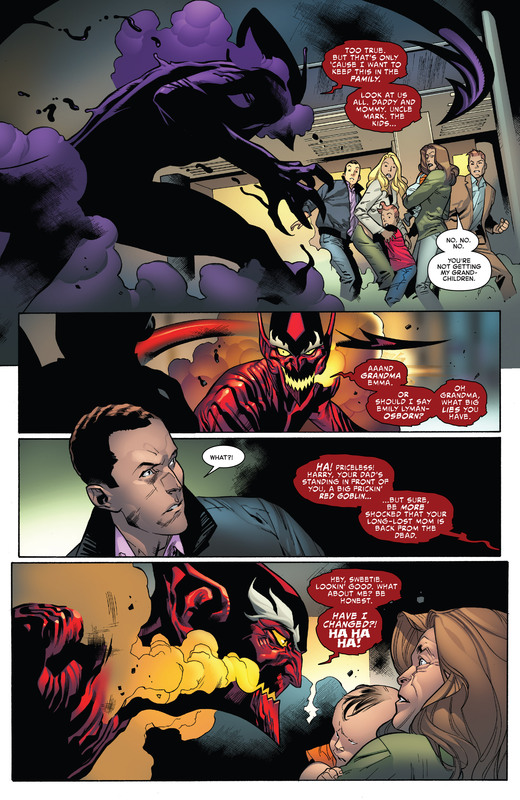 Flash Thompson, the new Anti-Venom, also tried to fight Red Goblin but he gets easily beaten as well. This forces Peter Parker out of hiding to try and save his friends from death. 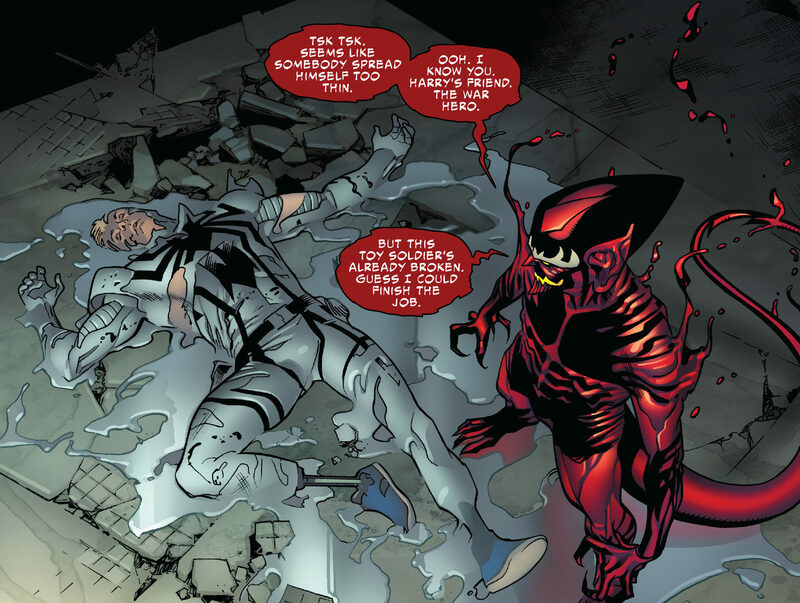 When he gets there, Flash passes on what looks like his newfound powers as the Anti-Venom. 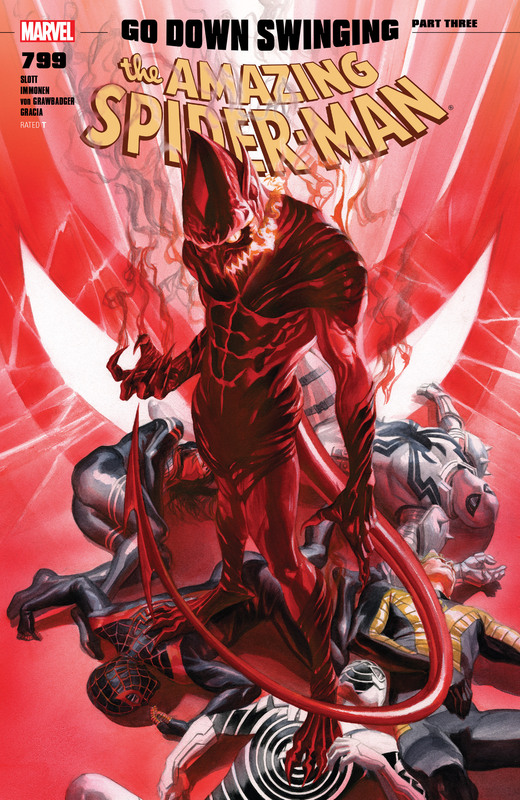 I’m definitely piqued to see what happens next, also next issue would be a milestone issue with it being Amazing Spider-Man # 800, followed by a relaunch by Nick Spencer and Ryan Ottley.